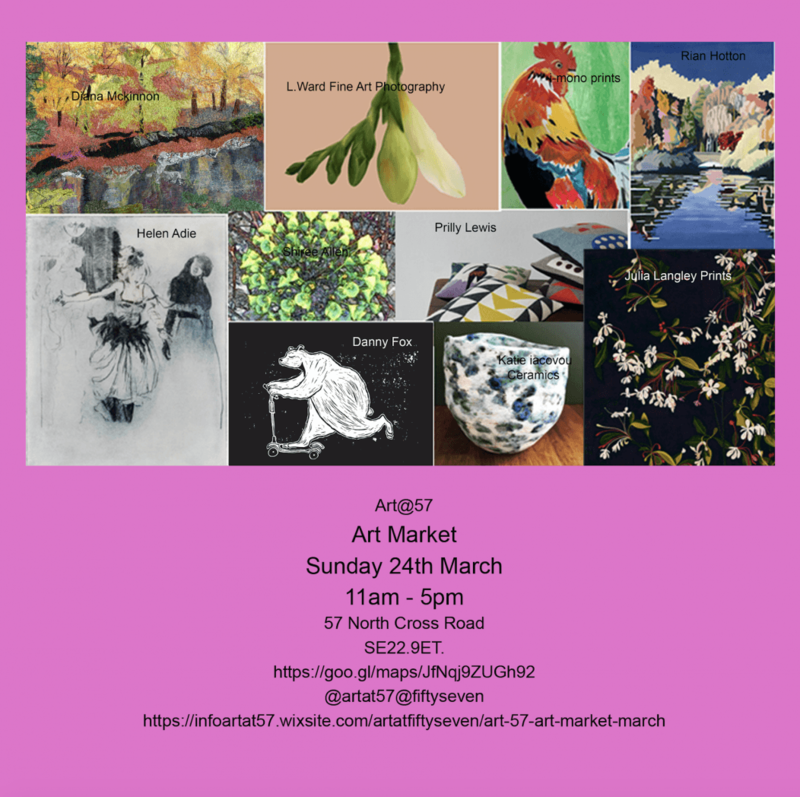 Art@57 is bringing a series of Art Markets to East Dulwich this spring. Our first market is on Sunday, 24th March, from 11am to 5pm. Just one week before Mothering Sunday this is the perfect time to get something really special for Mum. We will have a great mix of exciting and diverse Artworks including embroidery, photography, textiles, ceramics, knitwear, floral prints, greetings cards, paintings, etchings, lino prints and illustration, all designed and made by local Artists. You won’t find these in the usual high street shops. Look out for further announcements about the Artists who will be at each market by checking out our real window at 57 North Cross Road, SE22 9ET, our online window or follow us on Instagram @artat57.